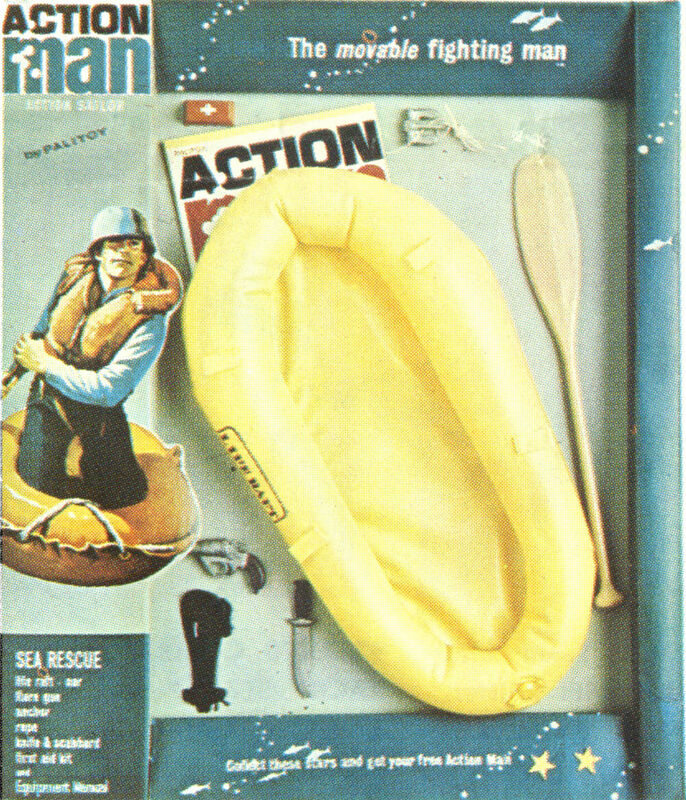 Scaled to fit Action Man Sailor range, set is similar to the Scramble Pilot's range Survival Set (which includes a thin plastic life vest). This yellow life raft crops up in the Action Pilot range too named 'Survival'. Check for punctures. 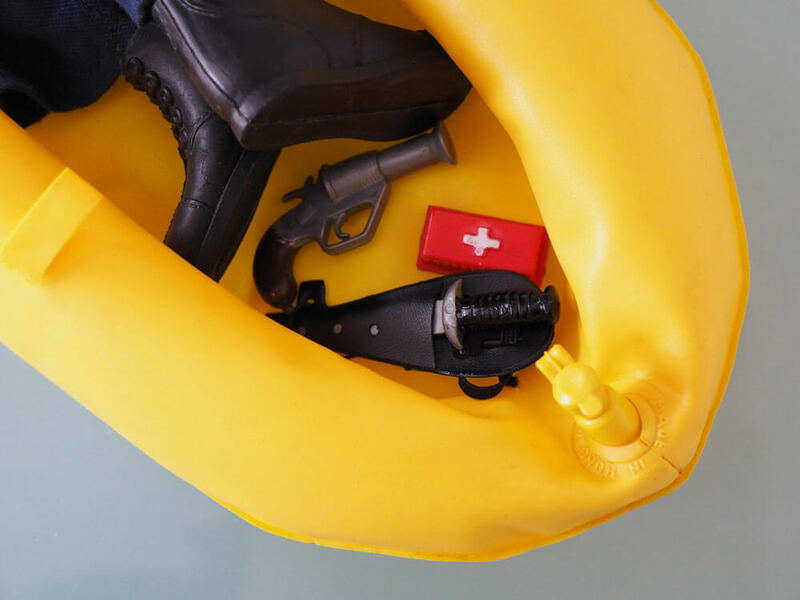 The rope can pull froms its bow mounting point, and the cap on the inflation valve can also break free. Some dingy examples had a card lozenge shaped former in the base to stop it collapsing in it's window packaging. 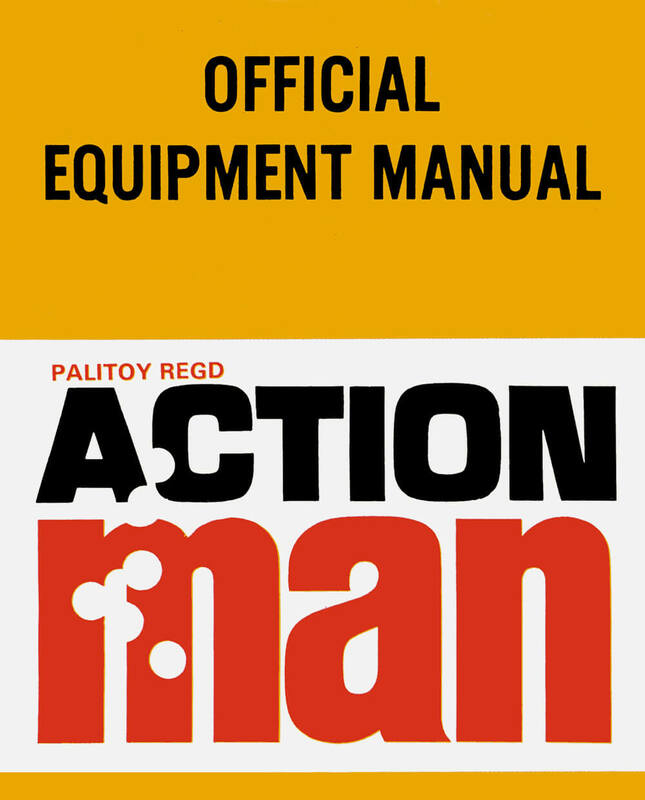 Action Man Sea Rescue Set (figure not included).